Capacity: 240 cu. in. Height: 14.0" Width: 7.0"
This piece is made from Pecan wood. A type of Hickory, the Pecan tree bears fruit. Survived over 50 million years, it is one of America’s first hardwoods. The Pecan is valued for the nut as a food and the wood for it hardness and strength as well as its use for smoking meat. It is the official state tree of Texas. Its sapwood is yellow-brown and the heartwood is light to medium brown with a reddish hue. This piece is Spalted, a natural breakdown that produces dark contrasting lines creating dramatic figuring with beautiful results. The top and flange of this urn is made with Live Oak remnants of a commissioned order from Texas A&M. Sourced from the College Station campus years ago for use throughout the university, we negotiated to acquire the last pieces. Oak is typically a very porous wood type, but this old growth wood is extremely dense with a tight grain pattern. 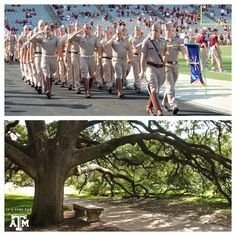 In memory of the Century Oak and the 12th Man, this “Aggie Oak” is a beautiful adornment for this special urn.